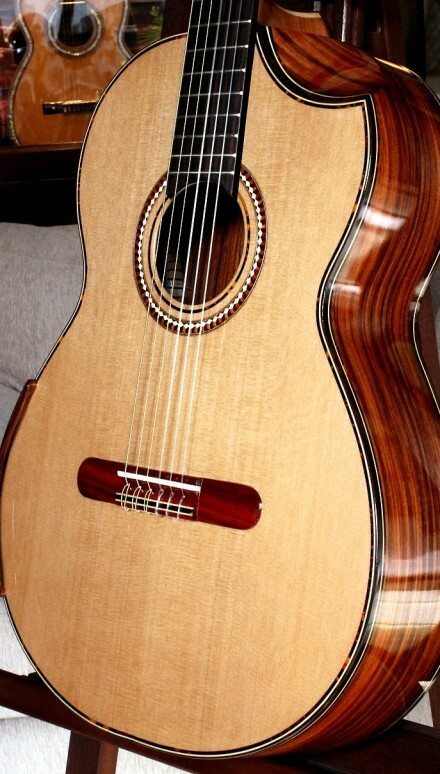 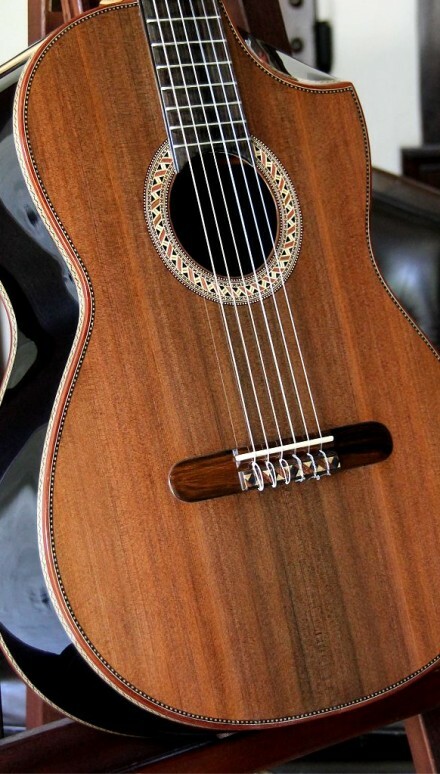 The Featured Bellucci guitars are a few models I selected from the over 1,600 guitars we have built since 2004 when the first Bellucci guitar was created. 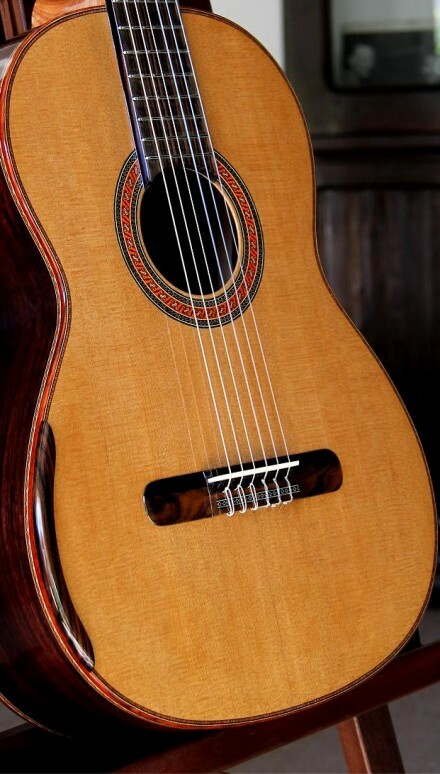 These featured instruments have stood out from the others due to the beauty and rarity of the grain of the sets used in the construction, the perfect combination of every element and, naturally, a superb sound. 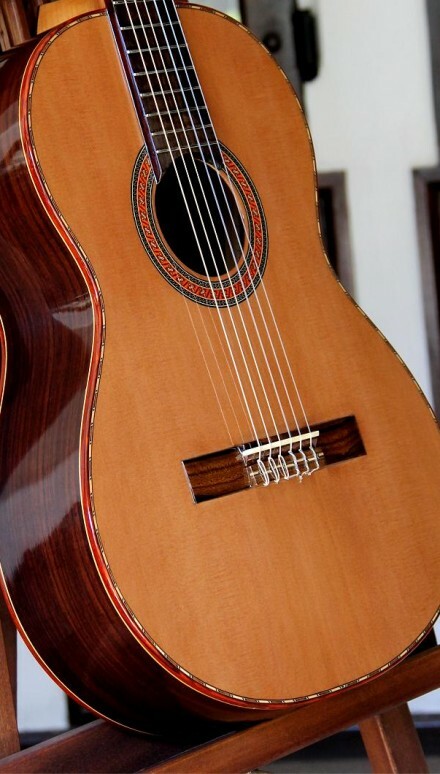 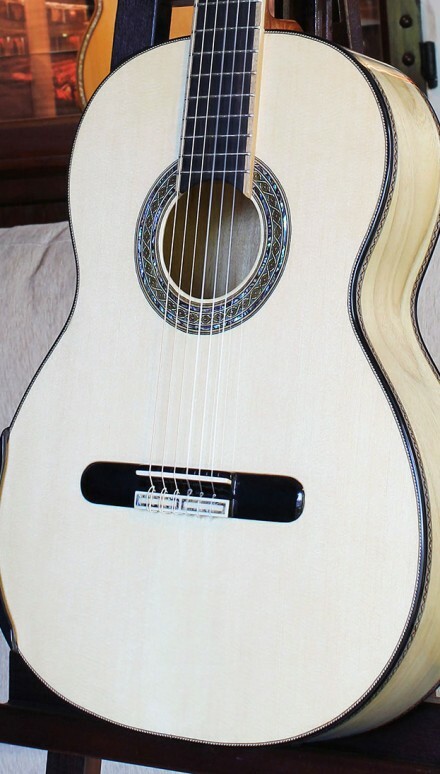 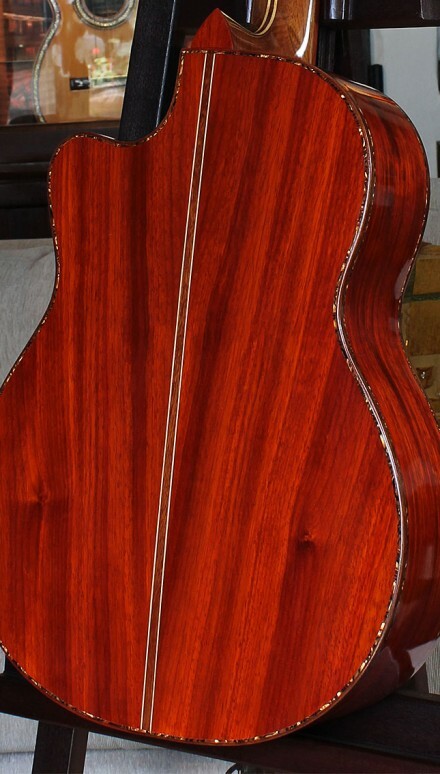 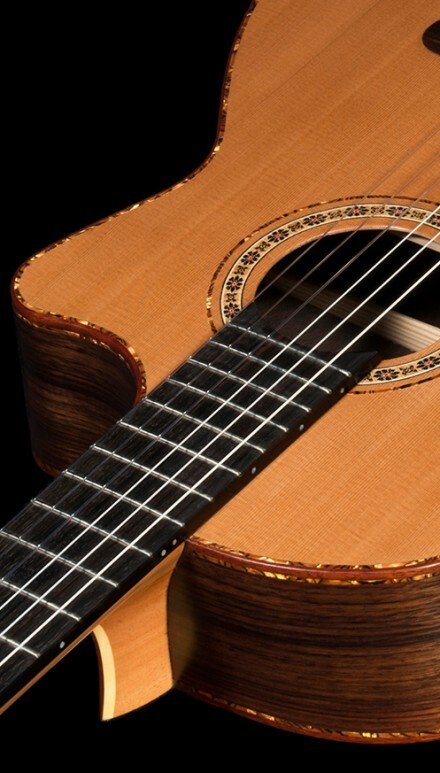 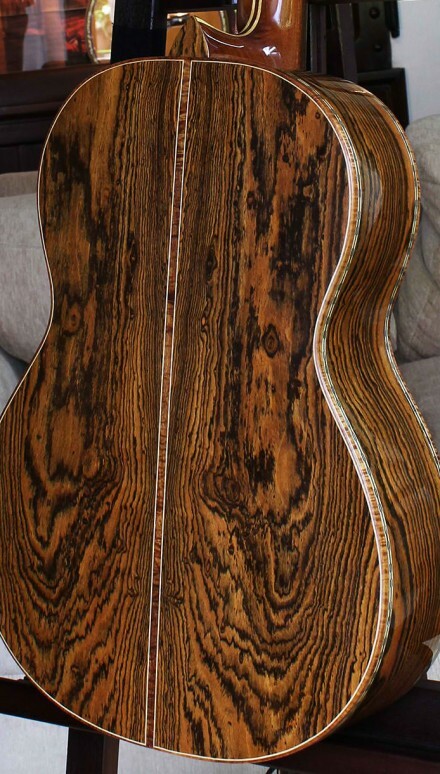 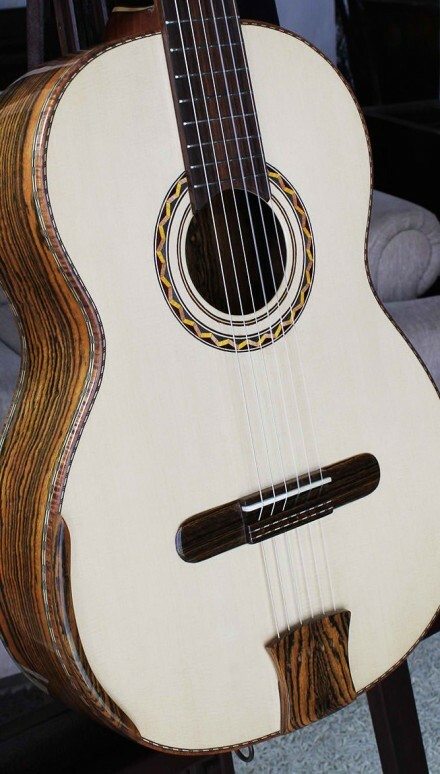 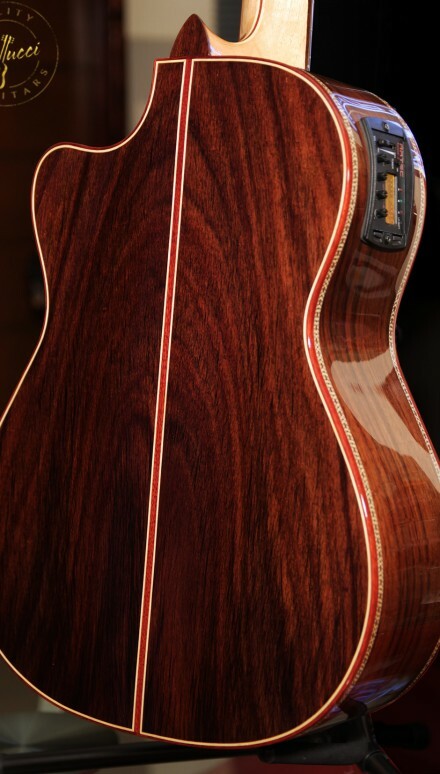 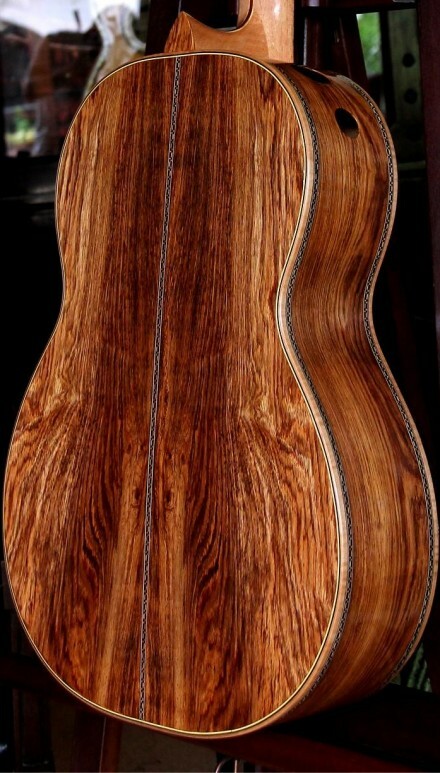 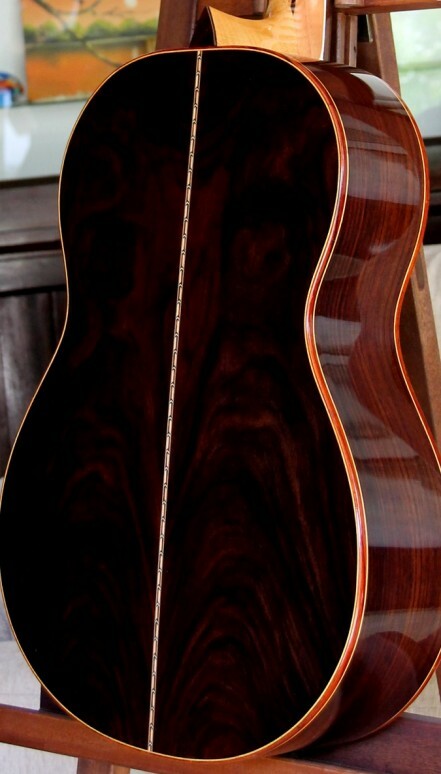 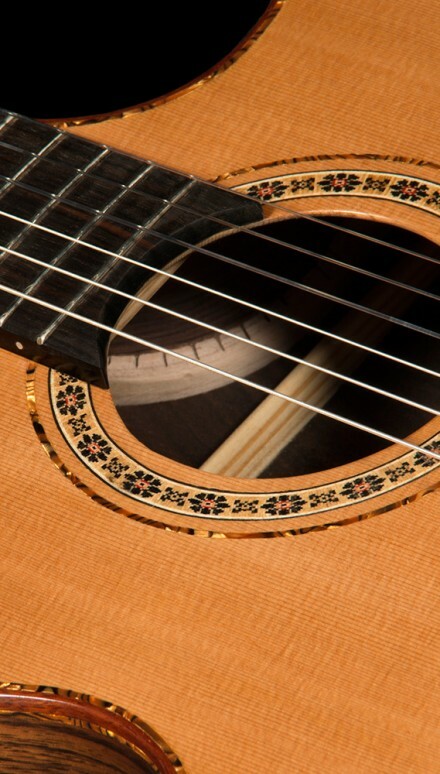 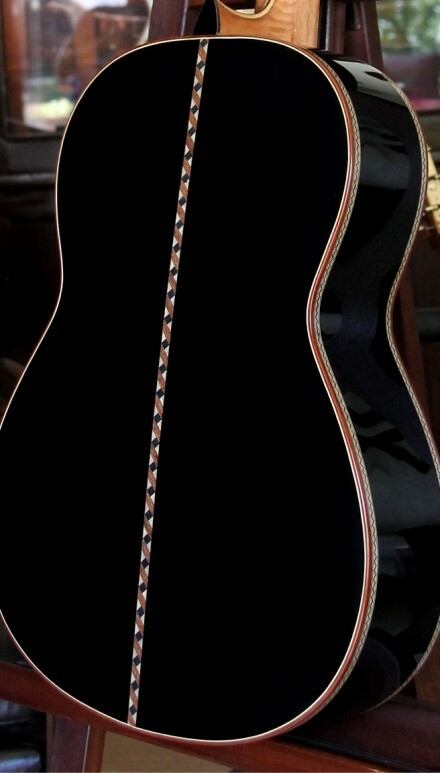 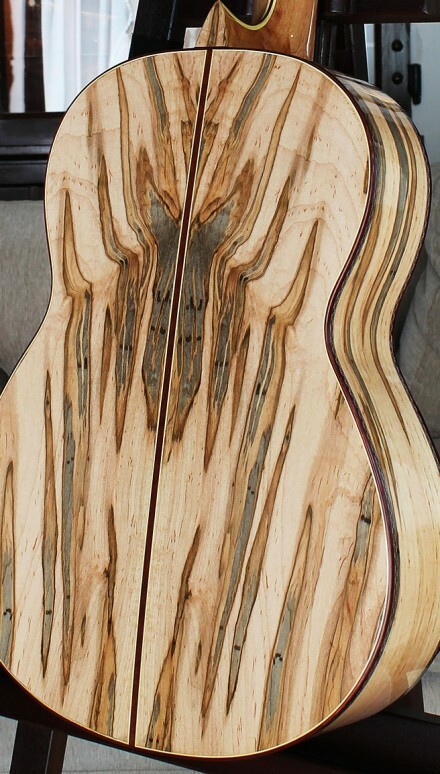 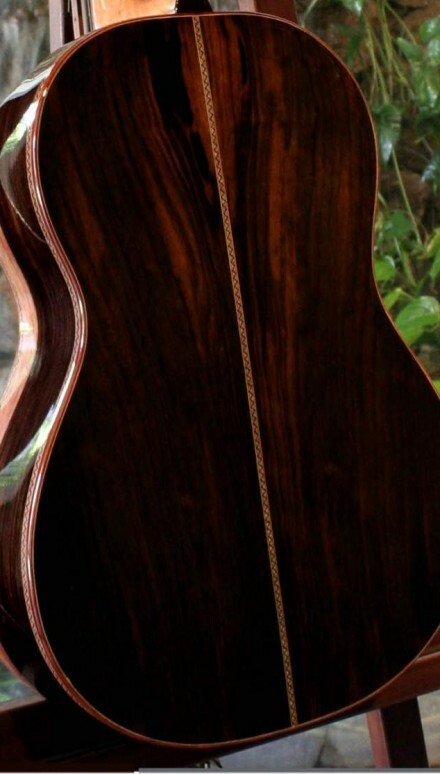 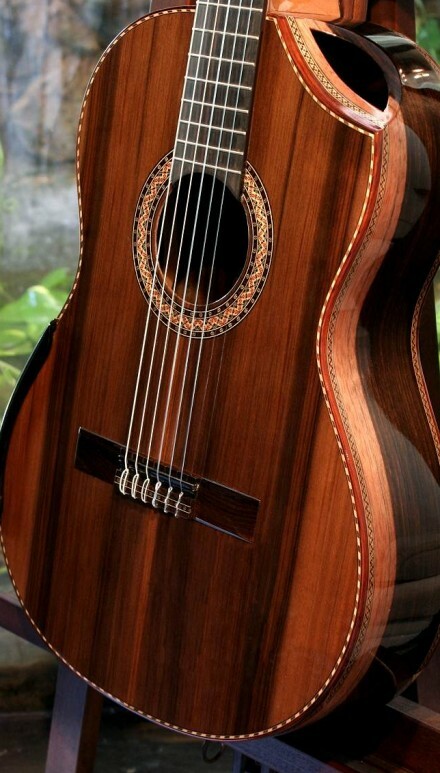 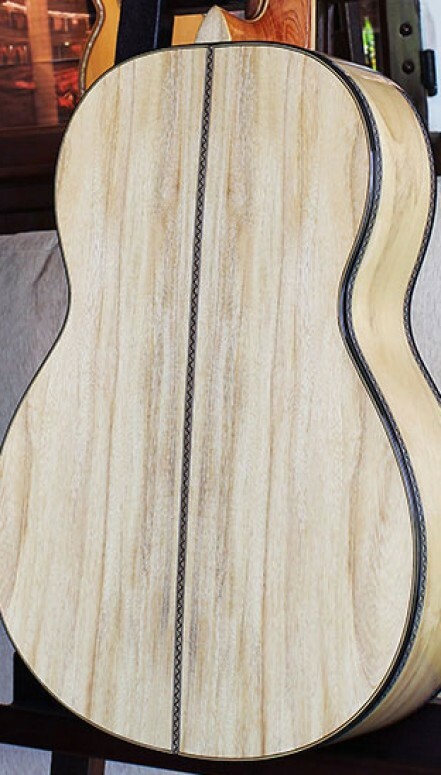 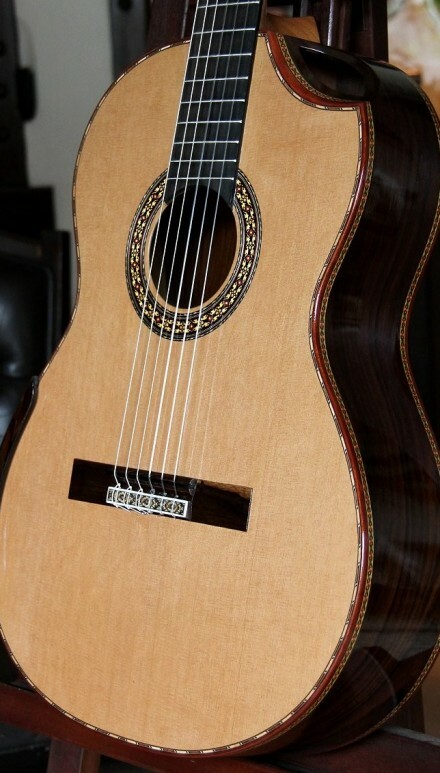 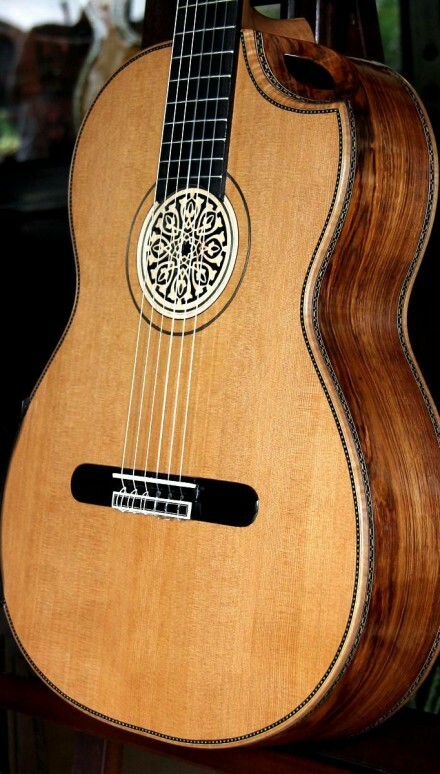 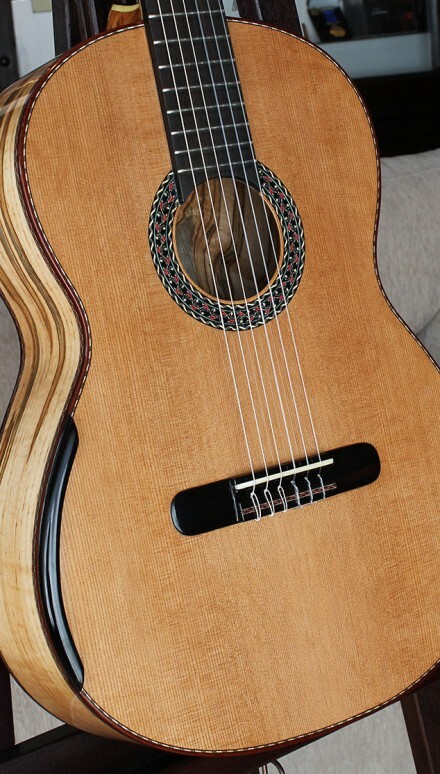 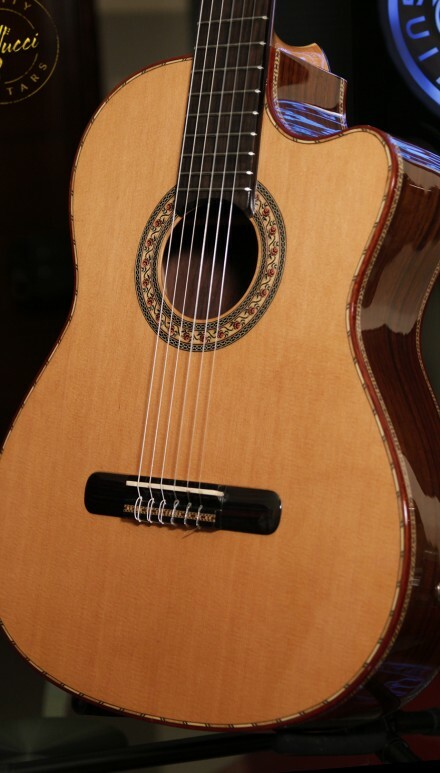 When you order any of the Featured Bellucci guitars, I will select and use woods for the back, sides and the top that resemble the grain and overall look of the model you have chosen as closely as possible. 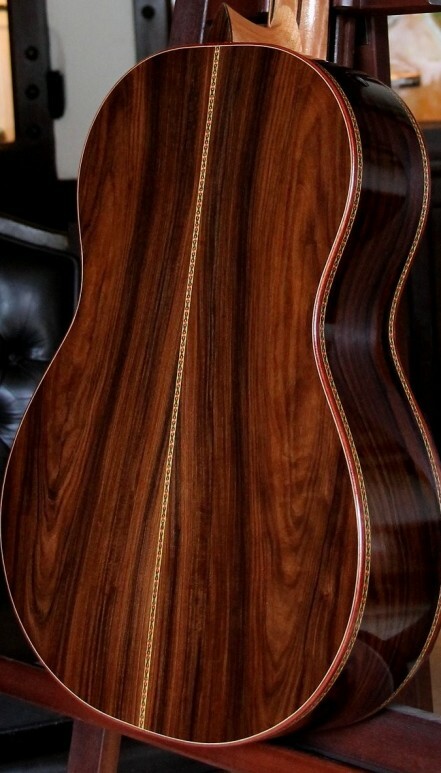 The bindings and marquetry will also emulate the model you have chosen in order to deliver as close a match as possible. 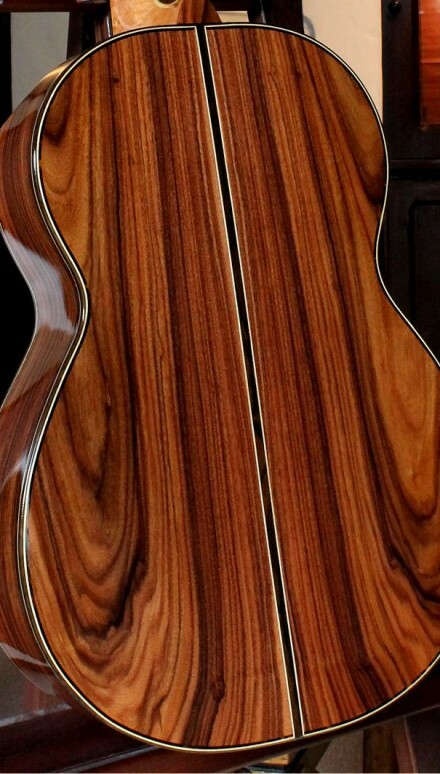 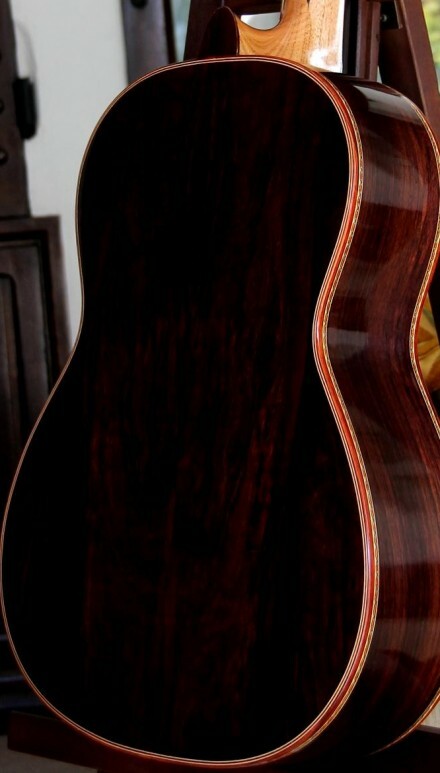 The marquetry will seldom be identical to the model selected because I try to repeat myself as little as possible. 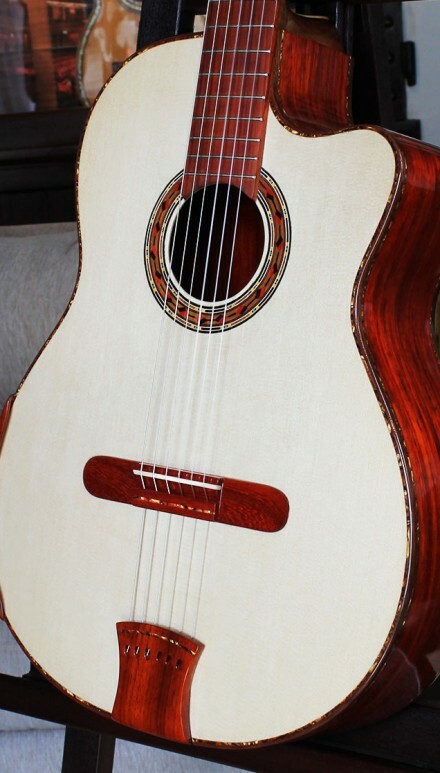 We can further customize every single model you see here, therefore, feel free to inquire should you need further clarifications and customizations.